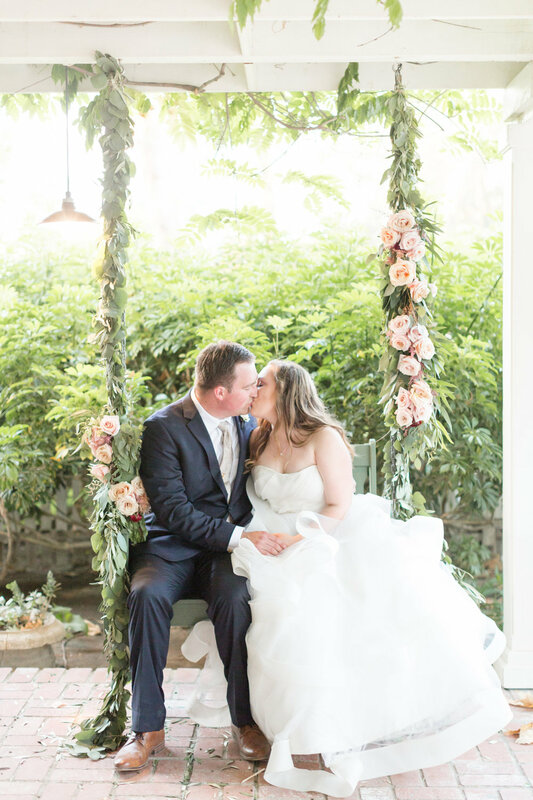 Rachel wore a gorgeous Anne Barge ballgown at the McCormick Home Ranch for her big day! Her wedding was complete with so many personal and unique touches, making a memorable day for her and all guests. See her photos below, including a flower wall seating chart and a cappuccino station! Early 2016, right after the proposal, we were in Charleston for our first time, and everywhere we turned would have been a dream wedding venue, expect we were on the wrong coast! Now try to find a colonial home in California, that’s a tough task! Paul found it though, McCormick Home Ranch, a little hidden gem tucked away in the middle of southern California. Just far enough away to be a destination, still close enough to feel like home.